St Kitts and Nevis is a federal two island country in the West Indies, St Kitts is the larger of the 2 islands and is home to the capital city of Basseterre. The islands are known for their outstanding natural beauty with a diverse ecosystem incorporating the beautiful white sandy beaches to the lagoons and lush green forests up to the mesmerizing mountains. With such wonderful surroundings there are many things to see and do for the thousands of visitors that arrive on vacation each year or to purchase a property. 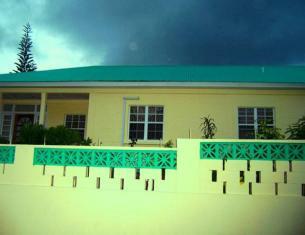 Why Choose St Kitts and Nevis Property? With our five generations of the Yearwood family island knowledge, Coldwell Banker St Kitts and Nevis Realty can assist buyers in making the best choice of home they wish to buy on one of our islands. The islands landscape offers buyers a wide choice of properties to choose from. As always with an island, there are luxury beach front villas, some with private pools and large grounds to condos overlooking the Caribbean. Retreats in the mountain are also available with beautiful views down to the shoreline and across the Caribbean and even some to the next island. Whichever choice you may make though, St Kitts and Nevis Realty will be able to take through the entire process completely stress free. 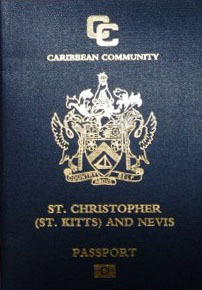 The hottest methods for obtaining citizenship on St Kitts and Nevis are by purchasing government approved real estate or a charitable donation to the SIDF. The beenfits of having dual citizenship on the islands is emmense with visa free travel to over 125 countries, tax free living and more. Persons with full residency status have the right to work and live on St Kitts and Nevis with lifetime citizenship for your family and future generations. Many people choose to get citizenship here to protect their wealth status from outside parties. Whatever your reason, having citizenship in the stunning islands of St Kitts and Nevis is considered a very wise choice. What Makes The Sister Islands of St Kitts and Nevis So Special? 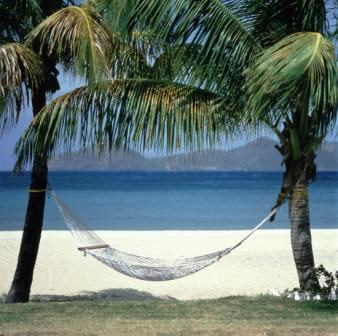 St Kitts and Nevis are also great for a vacation if you are wanting to enjoy island life as it really is. The islands are very laid back and total relaxation is expected. On Nevis you will still see goats walking through the streets and even the general store announces on a blackboard outside what they now have in stock and daily specials. St Kitts is a bit more livelier but still guarantees a relaxing vacation. St Kitts and Nevis Realty have a good selection of homes for rent such as beautiful villas, condos and mountain homes so whatever choice you make, let the world leaders in real estate assist you. St Kitts and Nevis are known as little pearls of the Caribbean as they are filled with natural beauty and have a very unique landscape. There is something to suit everybody whether you enjoy water-sports or hiking up mountains and exploring forests! Coldwell Banker St Kitts and Nevis are experts in the world of real estate and have all the information necessary for anybody looking for their new home. Our agents are very knowledgeable about the Citizenship by Investment Program and can assist all clients looking to participate to understand the program, the application process and finding the perfect home. There are many activities to enjoy on the islands and with the diverse landscape, your choice is anything from scuba diving to hiking in the forest and up the steep mountains. The islands are incredibly historical and this is apparent when you visit the landmarks such as the old plantation sites and Brimstone Hill Fortress. The weather is perfect in St Kitts and Nevis with an all year round tropical climate that is tempered by constant sea breezes. One of the benefits of living on the islands is the tax free living, they are free from capital gains tax, inheritance tax, gift and income tax. St Kitts and Nevis have a stable government, good schooling, healthcare and employment opportunities. Why Choose St. Kitts Real Estate? Understand the reasons behind people buying St. Kitts and Nevis Real Estate for their move to the islands or as an investment. Discover why people choose the islands of St. Kitts and Nevis for their vacation every year as well as a second home or even permanent residence. 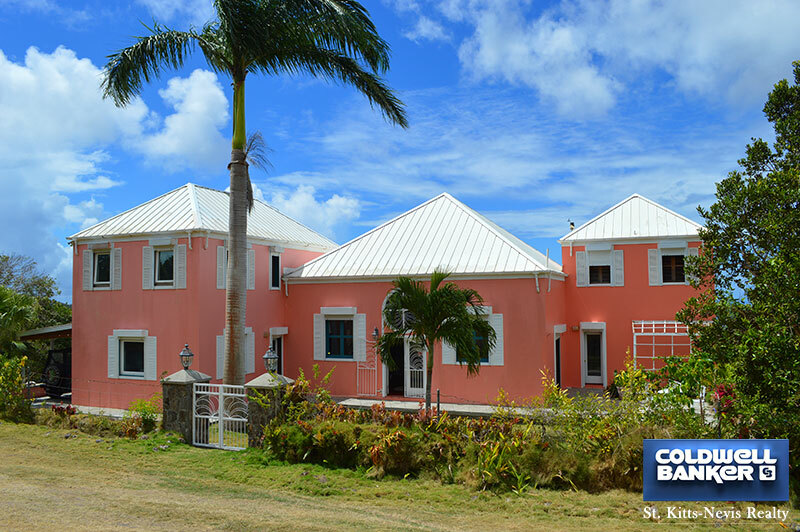 Explore how the official Coldwell Banker Real Estate Agent on St. Kitts and Nevis can assist you in selling your property on St. Kitts or your Nevis property through our island offices. 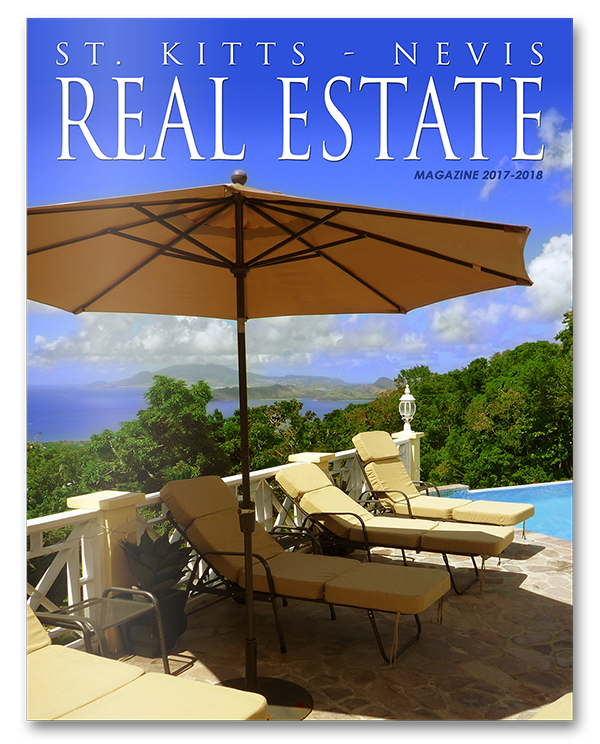 St. Kitts-Nevis Real Estate magazine 2017 has been published and is available online. 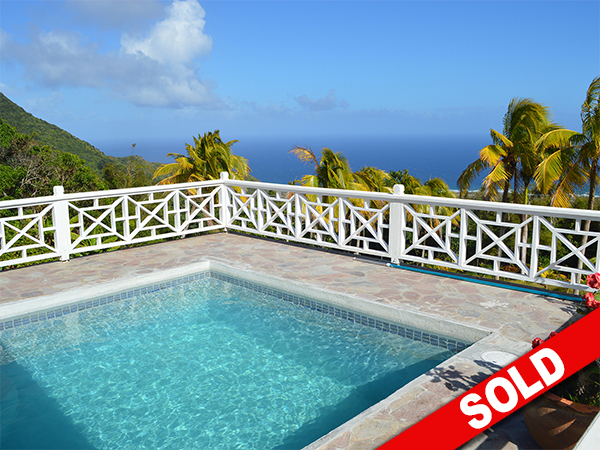 Exclusive properties are featured in St. Kitts-Nevis Real Estate magazine. Contact our agents to ask about displaying your property in our next edition. Visit our Oualie Beach Hotel Resort: a perfectly charming place for the whole family to stay. Whether you are looking at property, or just visiting, we look forward to seeing you!